Have you seen the GIANT Chamber scissors? They measure approximately 2' in length and take two hands to cut a ribbon! We will be bringing them out twice this month to celebrate the grand openings of a new Dominos Pizza in downtown Hanover, NH on May 24, 2018 at 4:30 p.m. and the Hilton Garden Inn Hanover/Lebanon, NH on May 31, 2018 at 4:00 p.m. Do you have a re-opening, addition, renovation, or grand opening? 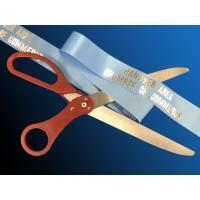 We would love to help you celebrate with a ribbon cutting. Give us a call 603-643-3115 or email us at hacc@hanoverchamber.org. This locally-owed franchise opened their 5th location in downtown Hanover, NH to meet the needs of the growing demands of Dartmouth College and Dartmouth-Hitchcock. The co-owners and team are dedicated to being community oriented, supporting clubs and organizations with donations. Be on the outlook for a Customer Appreciation Day, when this location will feature a huge discount on a large pizza to celebrate the opening of this new location. Join the team at Hilton Garden Inn to celebrate their Grand Opening. Ribbon Cutting will be at 4:00 p.m.on Thursday, May 31. Grand Opening festivities begin at 4:30 p.m. with entertainment, food, and raffles. Tour the properties generous amenities, including a salt water pool, guest laundry, giant patio, ballroom, comfortable lobby and 24/7 pantry, dining room and lounge, ultra-modern rooms, boardrooms, and exercise room with cardio, free-weights and yoga mats. RSVP for Grand Opening celebration forthcoming; keep a look out for it!